Les Petits Pois French Club is opening in Stoneleigh Library tomorrow afternoon. This is a chance to help your children get a head start in French and learn their French peas and Q’s, merci. 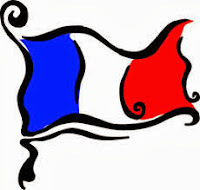 This is a club for primary children from Reception to year 6, and is (according to Anne Le Romancer who is running it) a fantastic opportunity for your children to learn French using games, stories, art and crafts and other fun activities. The first session tomorrow (Friday 27th September) at 4:30pm is a free taster so you can you and your little-uns can go and check it out without making any financial commitments to start with. Places are limited so please book a place in advance by emailing Anne at anneleromancer@gmail.com. For more information please see their facebook page here.